You get the plant in the image here. Height is almost 5 inches from the soil level. Achachuri is related to the mangosteen. They are also called Achachas and they are tangy and refreshing with a delicate subtle sweetness, a fine balance between sweetness and acidity. Renowned for its rich antioxidant content and unique nutrient composition, folate, potassium and vitamin C makes it an excellent addition to your fruit bowl. The skin of the fruit makes an excellent thirst quencher that provides a healthy dose of beta carotene, hydroxycitrate acid (HCA), arginine and other minerals. South America: Argentina, Paraguay, eastern Brazil, Bolivia, Peru, French Guiana. Mainly found in secondary forests, by rivers, floodplains, coastal moist broad-leaved forests etc. Inflorescences: male and hermaphrodite flowers. Achachuri is self pollinating. Best in bright filtered light but can be grown in full sun (Sun: 80%-100%) Only after the tree is a few feet tall and has been acclimated to full sun gradually! Seedling plants need protection from cold weather, wind, sun, dry conditions. WE GUARANTEE LIVE DELIVERY. Message us along with a photo of the plant immediately upon arrival if the plants are in poor condition. We cannot guarantee plants that are no longer in our care. Many of our plants require warm temperatures. Shipping to areas that are cold will be at buyer's risk. 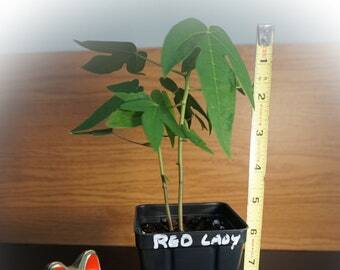 We offer quality plants that are inspected and approved for shipment. Pepe's Plants will not be responsible for plants that die as a result of improper care and handling once it is in the buyers hands. On arrival of your seedling put them in a place with temperatures about (70-80 F) in shade but NOT direct sun for two weeks so they can adjust from shipping. NO direct sunlight at all! NO partial shade - FULL SHADE ONLY! Once again: Sun will burn the seedlings! Allow the plants a week or two to adjust before transplanting or fertilizing. If you plan to plant them in the garden, gradually increase their exposure to sunlight and outdoor conditions! 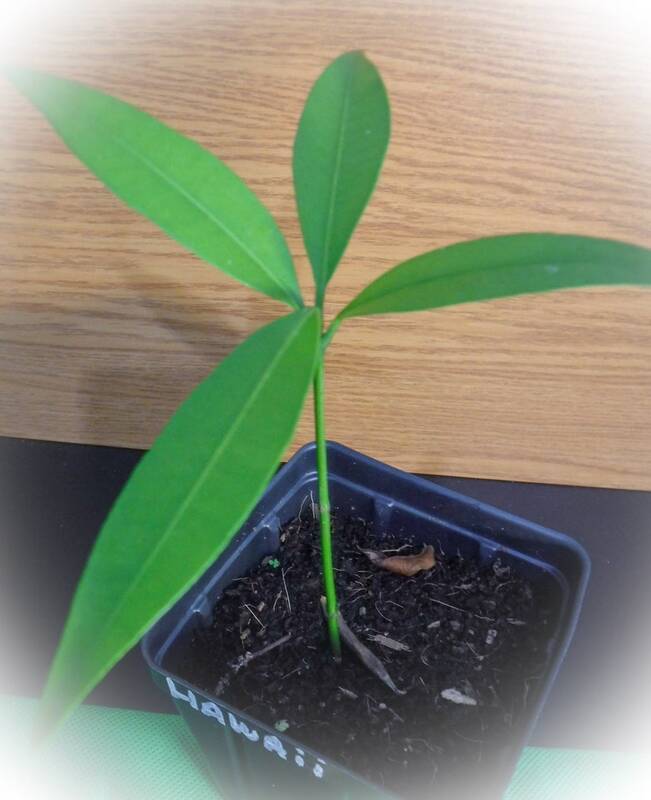 One Organically Grown Cashew Tree Seedling - Free Shipping! Really exited to add these mulberries to our collection. This variety is excellent and am looking forward to eating them. The plants arrived very soon after purchase in great condition with great care and detail given in the packaging. Yes, I can ship up to three items at no extra cost to you! Two day priority shipping with tracking. Do you offer care and growing instructions? No sorry. All the plants are offered to you in great shape. I do my best to carefully package the plants but the postal service can sometimes damage a box or handle the box in a rough manner. Sometimes packages are left out in the sun on a front porch or left for days without water. In some cases these tropical plants are left in the cold and they do not like that one bit! Please open the box as soon as you receive it. WE GUARANTEE LIVE DELIVERY. Message me along with a photo of the plant immediately upon arrival if the plants are in poor condition. Water your plants and place them in shade for one - two weeks. Once you have the plant you are in charge of it's health and prosperity! Can I call you with questions about the plant? Yes, but often times it is better to text me first and I can follow up soon as possible. Usually the same day. Can I place the plant in full sun? No! Please understand these plants are young and need to be in shade for one - two weeks. Until they have grown to a height of at least two feet do not put them in full sun! NOTE: Always make sure you acclimate the plant to full sun. This is done slowly over time. Some plants are not happy in full sun ever. When in doubt call or email me. Can I re-pot the plant? Yes, after about 30-45 days depending on the amount of roots in the container. 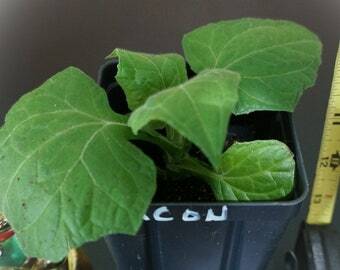 Carefully squeeze your 3.5 x 5 inch container and place the plant at the same soil level in a 10 inch plastic container. Be sure the plant goes out to filtered light not full sun at this stage. Always keep the soil moist but allow the surface to dry slightly before watering. Use potting soil and remember to keep an eye on the plants. A tiny plant in a tiny pot can dry out quickly and sometimes daily watering is required. Your weather, temperature, sun exposure etc will all be factors to consider before watering. How and what do I fertilize with? 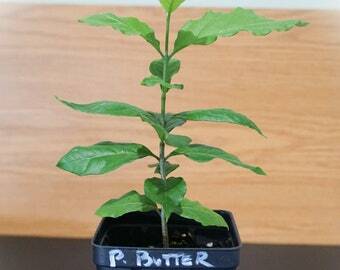 I recommend an organic fertilizer like a 10-10-10 for young seedling plants. Water your plants with a liquid fertilizer at half strength every two weeks or at a minimum on a monthly basis. Fertilize in spring and summer. Also use a mineral supplement a few times per year. Read and follow all label directions.